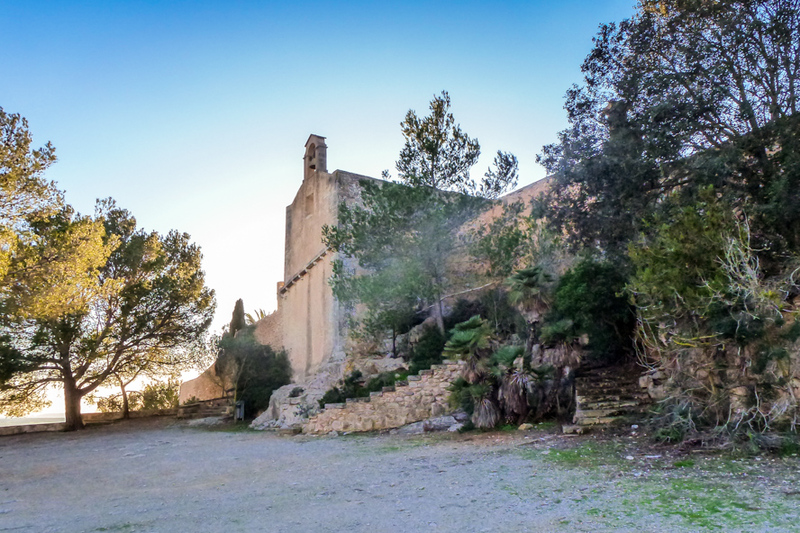 On the Puig de la Consolació, outside of Alqueria Blanca (Santanyí) you will find the Oratori de La Mare de Déu de la Consolació, a former convent offering splendid views over Santanyí and the South East coast of Mallorca. Some of us may also be struck by the comfort this place of worship can offer to those who seek spiritual insights. The photo was taken near S’Alqueria Blanca, Mallorca, Baleares, Spain. The date: January 31st, 2014.